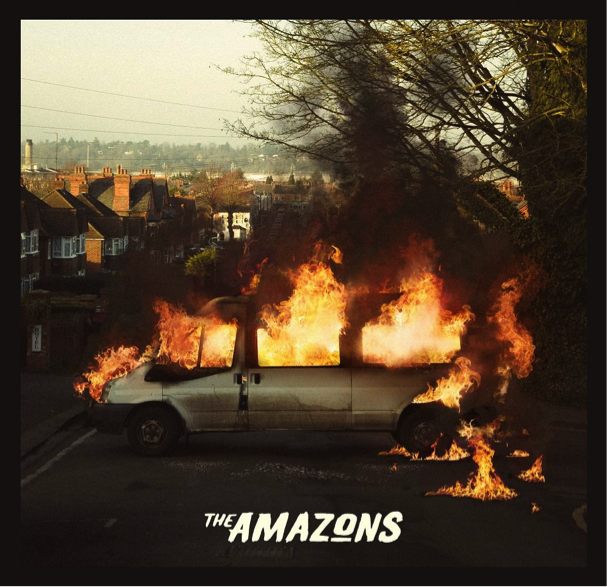 From Midnight tonight The Amazons self-titled debut album will be available to listen to, but we’ve had a sneak peek. And after being fans of the band since the start, it was so exciting to get a copy of it to review. But with that excitement there is also a feeling of trepidation, after all, what if you don’t like it? This happens with every album we are asked to give an opinion on. The Amazons though are a particularly awkward band to review on record though because what makes their live performances so good is the energy they provide on stage. Without that visualisation of that performance, would the album stand up to it? To be honest, the album does stand up – and then some but not in a way that I expected. In fact, it caught me out a bit until the second or third listen to it. This is not a traditional debut album. This album has no rough edges; it has no odd placed tracks which sound like the band trying to fill up a space with something different which might get lucky; in fact, it sounds like a second album from a band. I do not mean this in a negative way, but there are no bona fide rock hits on this that are going to be played Friday night by your local pub DJ unlike some of their counterparts. This is an album full of songs which people have confidence in. You can tell by the way their opening track, Stay With Me, thunders in to the speakers that this is not about dipping about your toe in the water. But even with a lyrical standard “stay with me” in the chorus, there is no attempt to soften this into a more whimsical, poppy number. This is a rock band performing on record. Even when things get stripped down for a short while in the song, it is supplemented with a raw rock vocal that would hurt the back of your throat if you tried to match it. The sweetly titled Burn My Eyes was an early release, and that starts off even louder and rockier than the opening track which occasionally slows to a singalong speed, but you’re not going to get the girls from accounts singing “I want to burn my eyes” after a Friday lunchtime trip to Wetherspoon’s for whatever bottle of rose is on offer. The riff that precedes singer Matt’s spoken request to burn his own eyes is so thick, dark and dirty that it is straight off the Black Rebel Motorcycle Club or Queens of the Stone Age playbook. Even when you think The Amazons have a title which could be a throwaway bit of fun like Junk Food Forever, it has the right kind of scuzzy to make it impossible to become a twee smile kind of song. Instead it proves that going to get a late night McDonald’s or KFC with the right person can actually be quite romantic (I hope my ex still reads my reviews – I was right), but you’re going to have to carry on driving if it comes on the radio in the car as it has too much energy to finish the night with. I guess that is the point at which The Amazons lie in the music business at present. They look like a band who could sell millions of records to teenagers all over the world if they made it a bit softer and appealing to the passer-by. Instead, they have produced an album which I’m certain they will be happy with, and I can guarantee from my own experience that their fans will love.